GENERAL SANTOS CITY, Jan 4 (PIA) -- It is better to evacuate people early than to conduct rescue, according to city Mayor Darlene Antonino-Custodio, amid PAGASA’s forecast of low pressure area (LPA) estimated “240km east southeast of General Santos City” as of 8:00 a.m today. Early on, the mayor ordered the City Disaster Risk Reduction and Management Office (CDRRMO) to take necessary action to ensure the public is well-informed and ready should LPA develop into something more. “Luzon, Eastern Visayas and Mindanao will have cloudy skies with scattered rainshowers and thunderstorms becoming widespread rains and thunderstorms over the eastern section of Southern Luzon, Eastern and Southern Mindanao which may trigger flashfloods and landslides,” PAGASA said in its weather advisory issued 10:00 a.m today. PAGASA’s next advisory will be issued at 11:00 a.m. tomorrow, January 5. He said the city government is doing its best to prevent any eventuality, citing that it has its own disaster preparedness plan laid out. Beliran added that although the city government has its own self-designed disaster preparedness plan, the resources are not enough to address it if it gets worse. “We need the national government intervention then,” he said. But Beliran said based on PAGASA’s monitoring, LPA is now gradually disappearing. 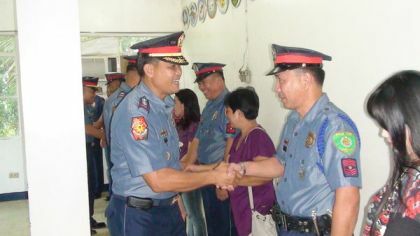 He also hailed community leaders for their all-out assistance. “One thing good also is that our barangays are organized with the help of their barangay captains and purok leaders,” Beliran said. According to him, since they have already mapped out 'vulnerable areas,' they can easily mobilize barangay and purok leaders to have their constituents evacuate at safer grounds as early as possible. “Most of the time, it is the people themselves who do voluntary evacuation before anything goes wrong any further,” Beliran said. In General Santos City, barangays that are most vulnerable to flood are Labagal, Sinawal, City Heights, Bula (Gensanville), Calumpang (Putting Bato), Dadiangas West and South. The CDRRM officer said that when a situation gets worse, the city government makes an immediate temporary shelter for the affected families in identified evacuation centers such as the Oval Plaza covered court and the South Central Elementary School.